Adverse drug reactions pose a significant public health problem. 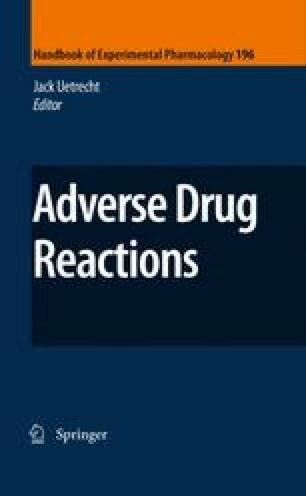 In some cases, the process of drug metabolism can contribute to the onset of toxicity through the bioactivation of a parent molecule to a chemically reactive intermediate. In order to maintain a favorable balance between bioactivation and detoxification, mammalian cells have evolved an inducible cell defense system known as the antioxidant response pathway. The activity of this cytoprotective pathway is largely regulated by the transcription factor Nrf2, which governs the expression of many phase II detoxification and antioxidant enzymes. In turn, the activity of Nrf2 is regulated by the cysteine-rich cytosolic inhibitor Keap1, which acts as a “sensor” for chemical/oxidative stress. This article summarizes our current understanding of the molecular mechanisms that regulate the function of the Keap1-Nrf2 pathway and highlights the importance of Nrf2 in the protection against drug-induced toxicity. The authors acknowledge the financial support of The Medical Research Council (UK), The Wellcome Trust, Pfizer Ltd., and The University of Liverpool.